This super adorable Loungefly ewok mini backpack is now available at Box Lunch. 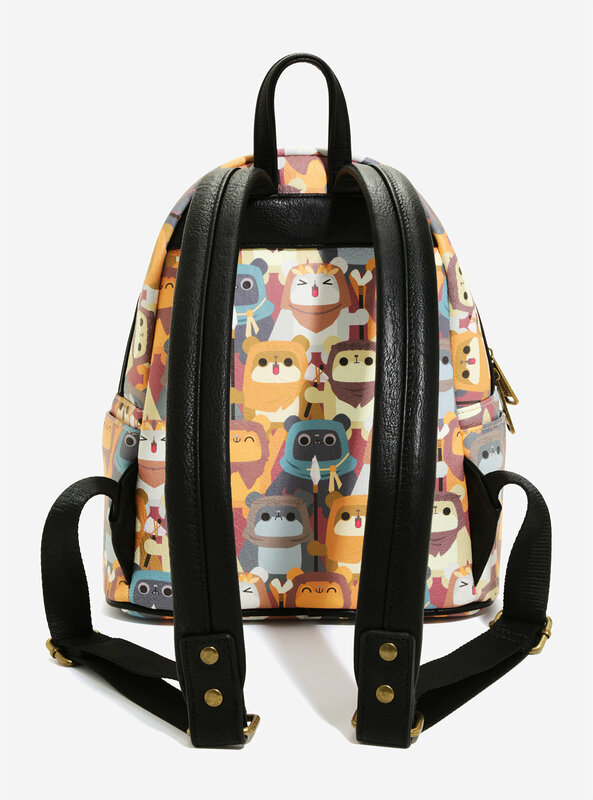 Made from faux leather, the mini backpack features an all-over repeating print of chibi style ewoks from Return Of The Jedi. 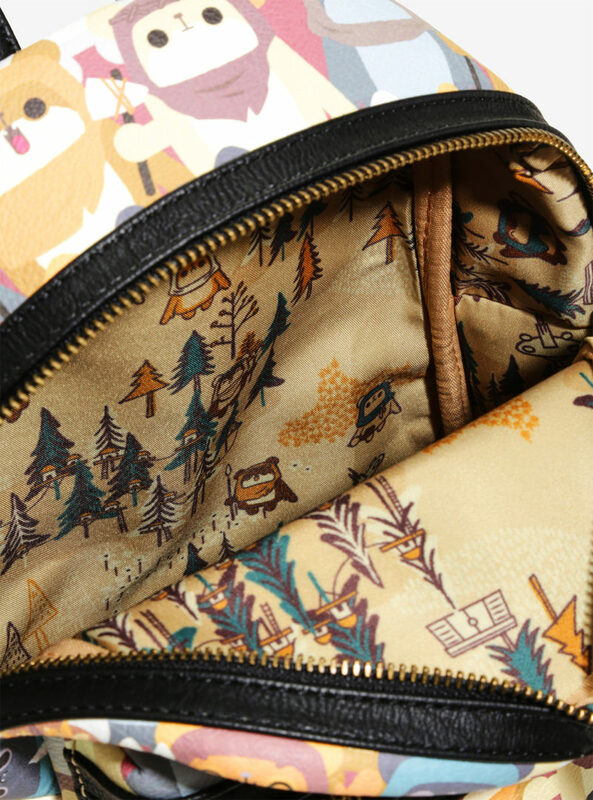 Inside, the printed lining fabric also features ewoks, with a different print that also includes the ewok village on the forest moon of Endor. 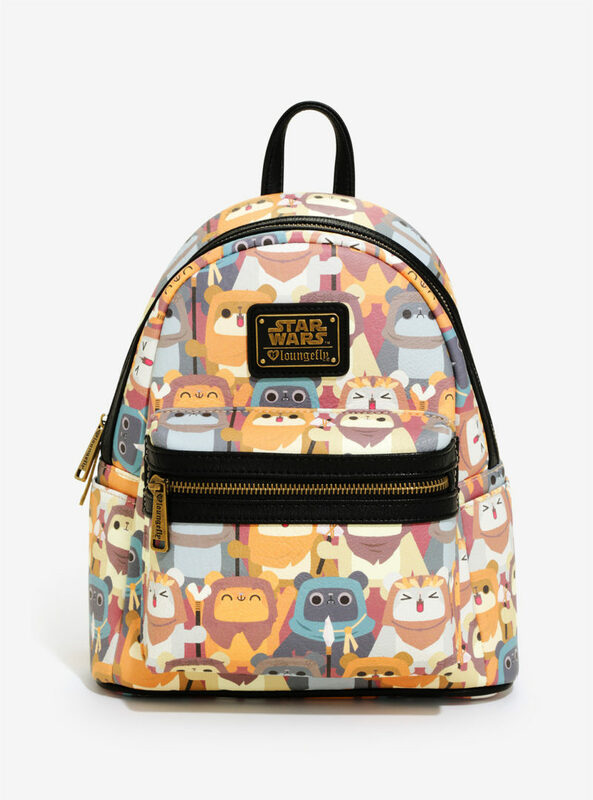 Camp out on Endor and take everything you could need in this super cute mini backpack from Loungefly and Star Wars! 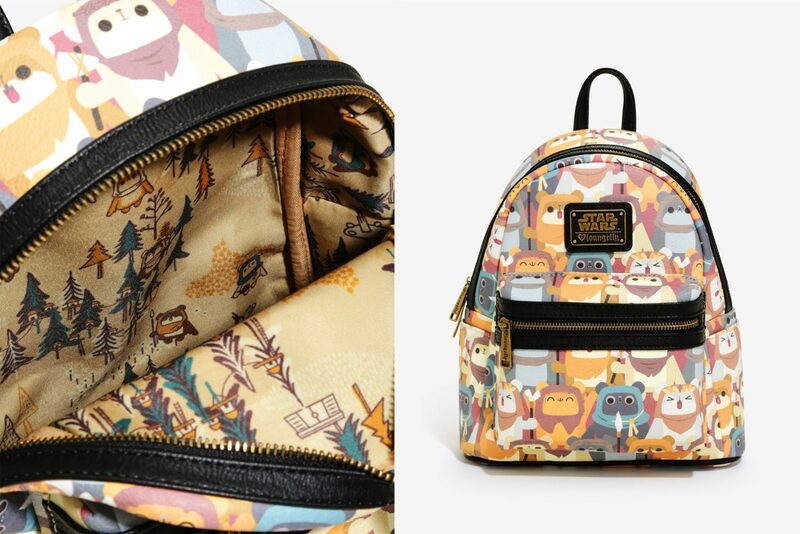 It’s got an allover Ewok print with matching interior lining. 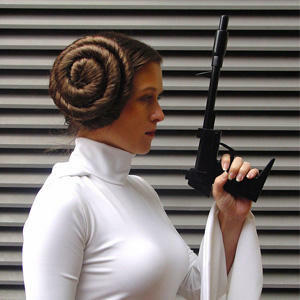 You shouldn’t run out of pockets with the main zipper compartment, small zipper closure pocket and two side water bottle pockets. Adjustable black straps. 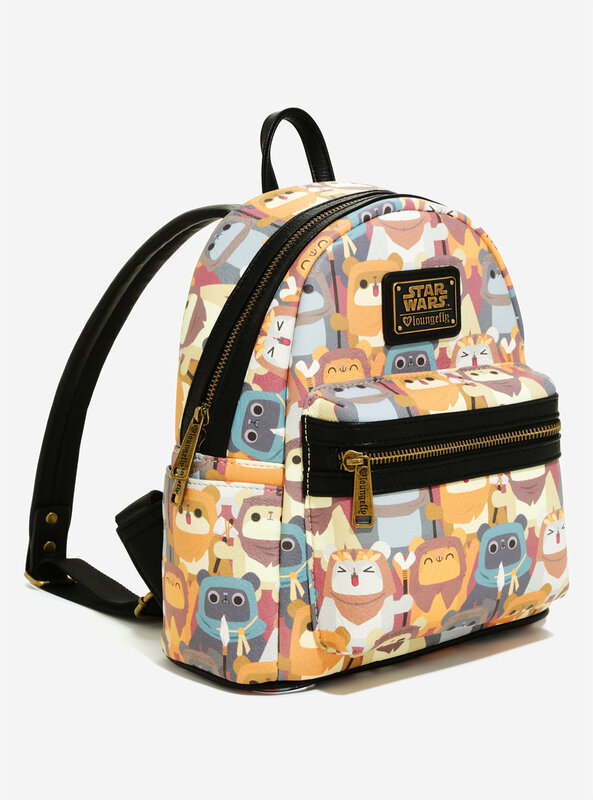 The backpack is priced at US$59.90 each – Box Lunch can ship internationally, which is great!